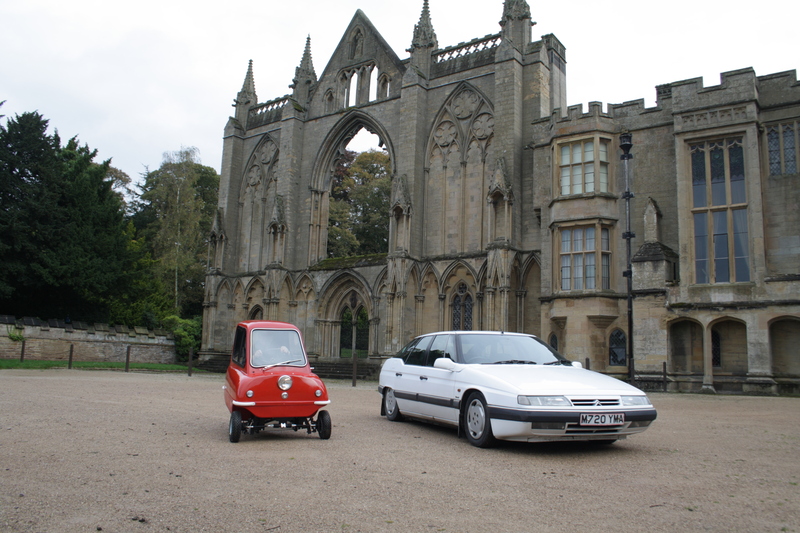 The Sublime and the Ridiculous – 2014 EV experiences – HubNut – celebrating the average! It’s been an interesting year on the Electric Car front. I’m very pleased to have been able to put some very different vehicles through their paces. You’re probably sick of me going on about the Nissan e-NV200 Combi, so instead, I shall hark back to stark contrasts. 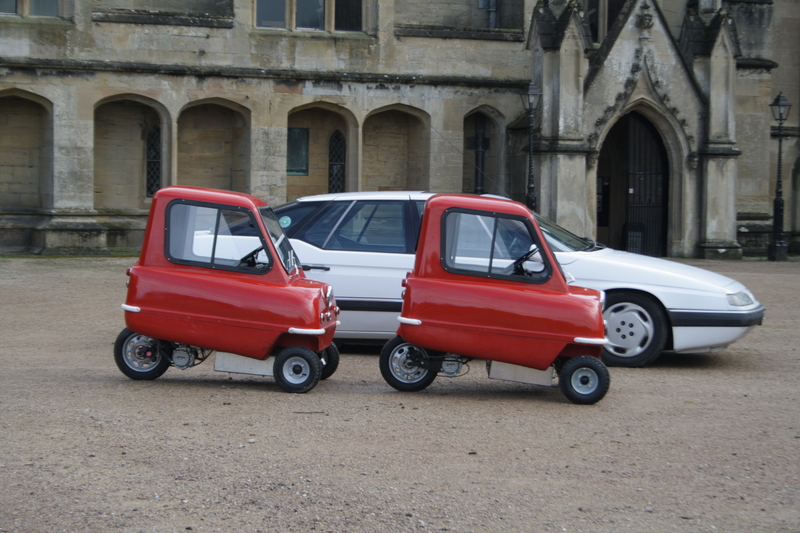 You see, I’m one of very few people who has been lucky enough to drive both a Peel P50 Electric, and a Tesla Model S. In terms of comparisons, well, perhaps chalk isn’t so dissimilar to cheese after all compared to this eccentric pairing. As you can see, it really is very small indeed. Suddenly, the 10″ wheels on an original Mini seem utterly huge! In a way, it could be the ideal commuter vehicle. So many cars rush into our city centres with only one person aboard. It could be a commuter revolution! With electric power, there are no emissions to worry about, and the dinky dimensions mean you can cram two Peels in a standard car parking space. In fact look! Even two Peels take up far less space than just one XM. The turning circle is superb as well, so they’re great for nipping in and out of tight spaces. A shame then that they’re a bit of a joke really. You can, scarily, get them road-ready. I’d think long and hard about that though. The top speed is allegedly 30mph, but that’s a serious struggle. The slightest incline results in a great loss of speed, and the ride on those tiny wheels is absolutely horrendous! Potholes become something you could fall into. In terms of range, 15-20 miles is about all you can expect. Great for nipping to the shops though? Well, no, as there’s nowhere you put your shopping. You might just fit a newspaper behind your seat. Then there’s the price. Around £15,000! A Renault Twizy starts looking almost sensible by comparison – less than £7000 and it can seat two! Sort of. It was an amusing experience, but I can’t say it’s a car I’d ever want to own. The Tesla Model S on the other hand, well that’s quite different. I know in my review I complained a lot about poor comfort levels and the scarily high price, but the fact remains that it’s the most serious electric car yet produced. To be honest, had the price been lower, perhaps I wouldn’t have been so critical. I’m still utterly fascinated at how well the Model S works though. It’s stupendously fast, but has a realistic range of over 200 miles. I must concede, it was disappointing that my bargain basement XM felt considerably more comfortable, but I still love the engineering that has gone into making the Tesla Model S a reality. It’s a very well thought out machine that is jolly good fun to drive. Certainly, I think it’s one of the most attractive seven-seaters ever produced, regardless of power source. 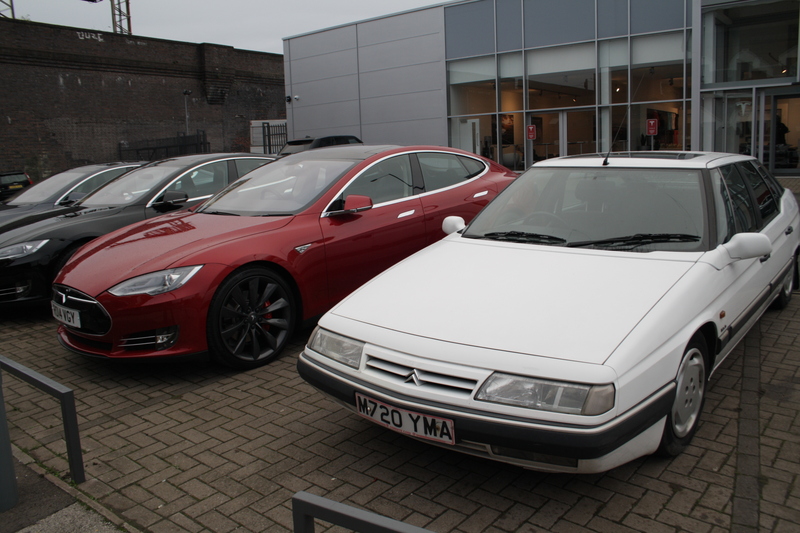 As years go though, I’m very glad I was invited to try both the Peel and the Tesla in 2014. Within just a few weeks, I experienced the extremes of what is currently available on the market. How exciting it is to have an actual range of electric cars on sale. I hope that 2015 will bring the opportunity to put several more through their paces. In my next post, I shall recall the dino-juice highlights of the year. Some amazing memories there too!